Authenticity: beyond the model unmistakable brand name plate is engraved BASSANO - as can be seen in the photo. 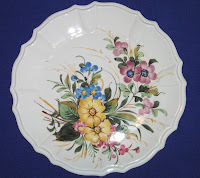 A decorative plate hand-painted under glaze, only good for hanging on the wall. The decoration is floral, ie a sheaf of flowers in bright colors, spectacular - specific Italian ceramics. 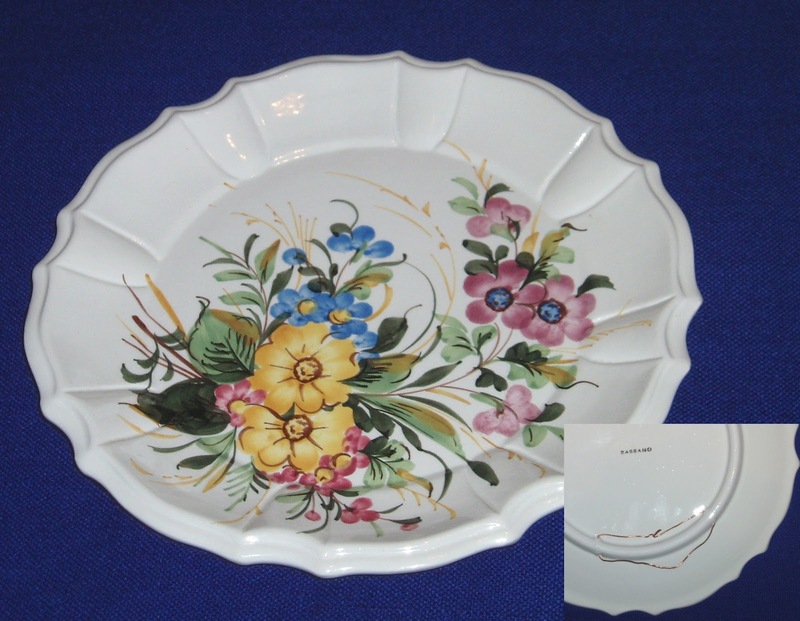 The shape of this plate is a feature Bassano, as remaining unchanged for over 200 years. Certainly plate proposed for sale are not so old - being made in the 50's, early 60's, at most - only belongs to one of the oldest and most prestigious Italian brands. After all, as almost all handmade works of art, we talk about unique. There are many plates for sale, such dishes - taking into account the fact that the plate is a large, hand painted - their prices ranging from EUR 30 to 100 dollars depending on condition and parts, vendor bias and random factors. I think I proposed an attractive price and honest, but it would not hurt a prior documentation.